Travelling to Lonavala and searching for a place to party, and enjoy a luxurious stay? Worry not! We discovered Mi Casa, a gorgeous 4-BHK villa which is six kilometers away from Bushi Dam and a bit farther from Lion’s Point. With modern amenities like shared lounge, home theatre with DVD collection and music system, the place has gone an extra mile to make your entertainment game right. 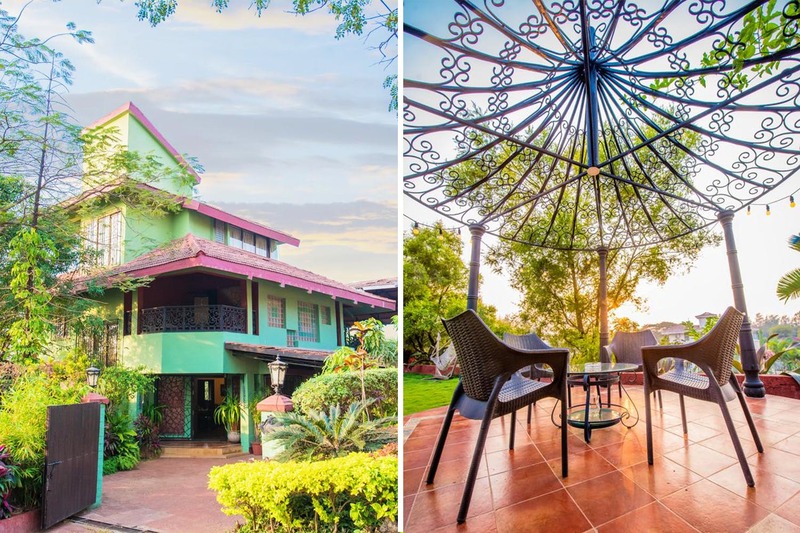 If you are a gang of eight or above, you can make a pit stop at this 4-BHK villa. We like that the villa has a fully-functional kitchen with all modern equipment. Your gang can plan a cook-out session in the kitchen as there are no restrictions regarding cooking and consumption of food. The property has a lush meadow and private pool, which is an ideal setting for hosting barbecue parties. One can always chill beside the pool, snuggle up in front of the home theatre or do nothing after exploring the small eateries and dhabas in the vicinity. Although this villa can accommodate around 12 guests, the parking space available is just for two cars. We suggest you mention about your parking requirements while booking the place. A chef can also be arranged at an extra cost for your parties. Stags and pets are not allowed on the property.